In this tutorial you are going to learn how to post facebook updates on twitter which can be a time saver if you are a user of both these social networks. 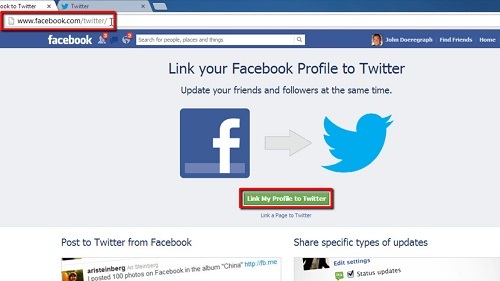 Navigate to Facebook and make sure that you are logged into your account. 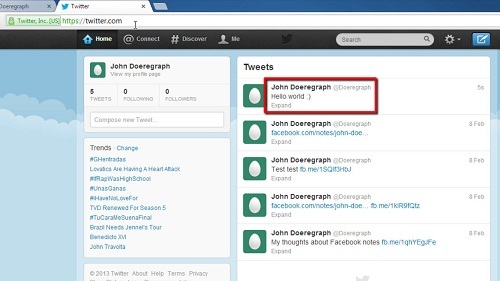 Open a new tab and open Twitter and make sure you are logged in there as well. Go back to the Facebook tab and in the address bar type in “www.facebook.com/twitter” and wait for the page to load. You will see a green button called “Link My Profile to Twitter”, click this. 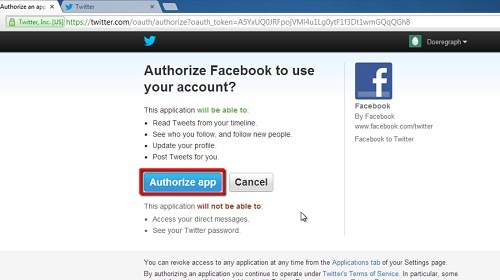 You’ll be redirected to a page asking you to authorize Facebook on Twitter, click the blue “Authorize App” button. On the new page select all the things that you want to share on Twitter, we are leaving all the options checked, click “Save Changes”. Now, let’s test out the link. Go to your profile page by clicking on your name in the top right of the window. Enter and post a new status on your profile. Go to the Twitter tab we opened earlier and, assuming that the link has worked, you will see the Facebook status update appear as a tweet in Twitter as well. That is the simple process for learning how to post facebook updates on twitter.